Women are often so busy that their responsibilities can keep them from tending to their own health. Rancho Springs Medical Center is here to help with Women Enlightened for Better Health (WE). It’s a free program that offers support, information and healthcare navigation to women as they make important health decisions for themselves and their families. Assist with establishing a primary care physician. Provide health information resource referrals to help you take advantage of all that Rancho Springs has to offer. Provide emotional support during stressful health events. Connect you to community resources and outreach programs. Educational events. 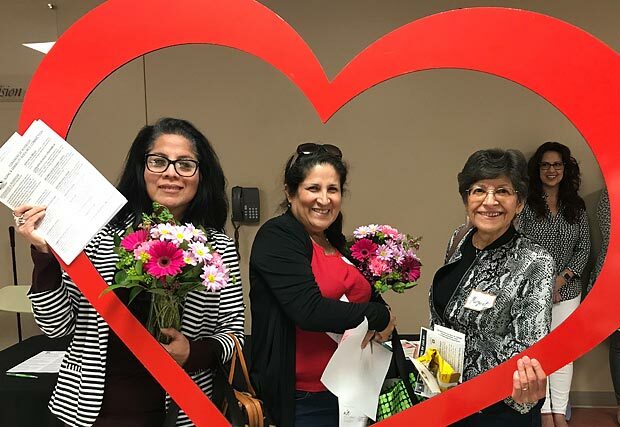 An educational presentation on such health-related issues as cardiac disease and stress is offered to new members, in a fun and social atmosphere. New members receive a welcome packet, LIV breast exam and a monthly newsletter that highlights upcoming events. Olivia Newton-John, a WE supporter and advocate for women’s health, walked with the Southwest Healthcare System team at the 2014 Susan G. Komen's Race for the Cure. Watch the video. If you need a referral to a physician at Rancho Springs Medical Center, call our free physician referral service at 1-800-879-1020.